Australian’s are very fortunate when it comes to selecting a cruise that suits our lifestyle. We have access to mega ships, expedition ships, family style ships, boutique ships, luxury ships and more. We have from three and four day cruises to liner voyages around the world. 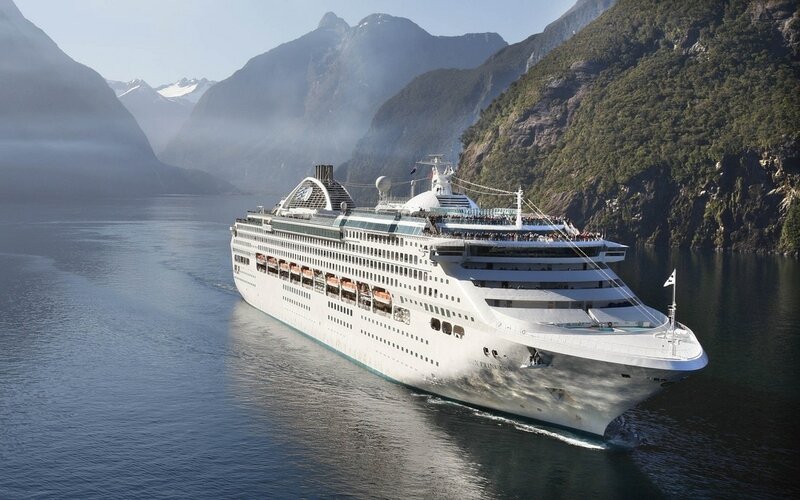 We decided on Sun Princess, mainly from the very positive feedback we have received from mature travellers, Also, that the 17-day itinerary, from Sydney to Perth, via New Guinea would suit the time we had available. 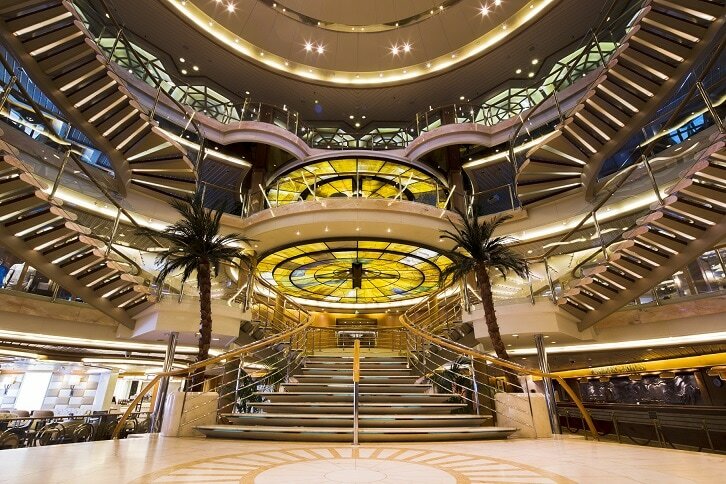 Princess Cruises have a very large and dedicated following amongst us mature travellers. During the cruise we talked with many of them and it didn’t take too long to realise that most of them had been on a lot more cruises than we have. They mentioned other cruise lines, but admitted they always came back to Princess. Sun Princess is a large ship, but not mega as seems to be the coming trend. Being 77,000 gross tonnes and 261 metres long, carrying up to 2010 passengers, with a crew of 924. For those less mobile there are 19 wheelchair accessible staterooms. The ship is up to date as far as facilities having a refurbishment in April 2016. As a home away from home they offer a full complement of things to keep you entertained and other areas if you just feel like relaxing over a book from the extensive library. 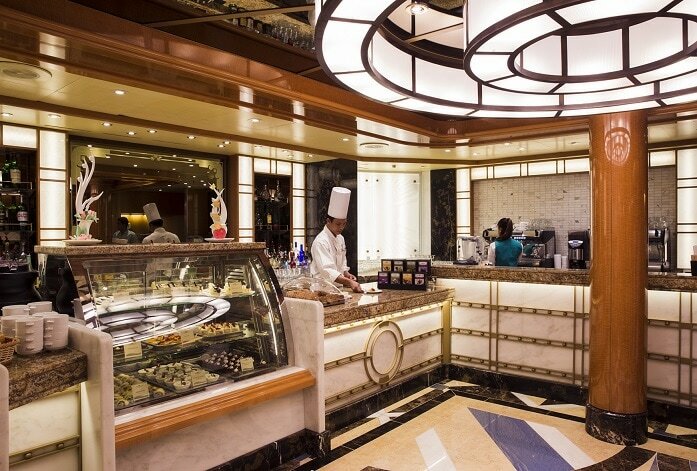 Food, glorious food – Following the latest international trends Sun Princess features three speciality restaurants … Extra charges do apply. 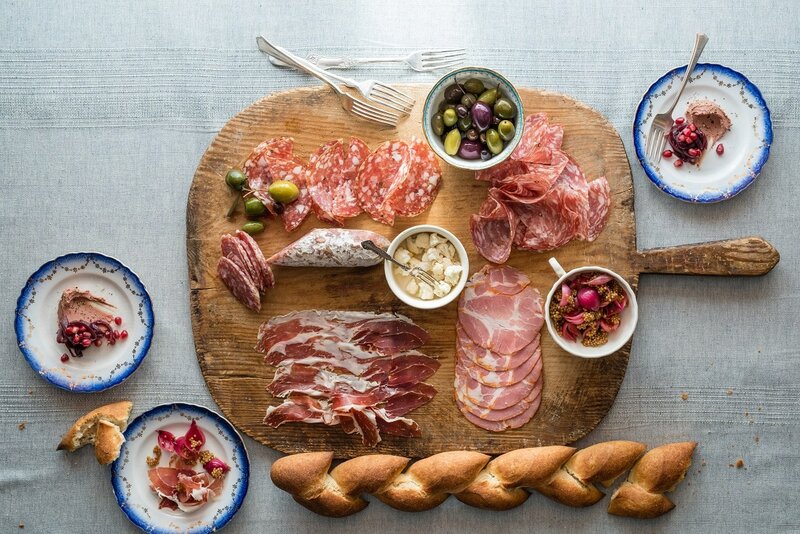 SHARE by Curtis Stone restaurant. When asked about his restaurant, “So much of my food ethos comes from my Australian upbringing so it means a lot to me that two of my SHARE restaurants are so close to home for Australians,” Curtis said. An under-the-sea journey awaits at Kai, an exquisitely decorated seafood restaurant specializing in oysters and sushi. Enjoy an elegant experience in the restaurant or try the traditional sushi bar, serving up sushi and sashimi expertly prepared before your eyes. Seafood cocktails, shucked oysters, and oyster shooters, along with Sake and wines-by-the-glass, are also on the menu. More food than you can eat… From the formal dining rooms, to coffee shops, to buffets and even a New Zealand Natural ice cream outlet. Another couple of laps of the deck. 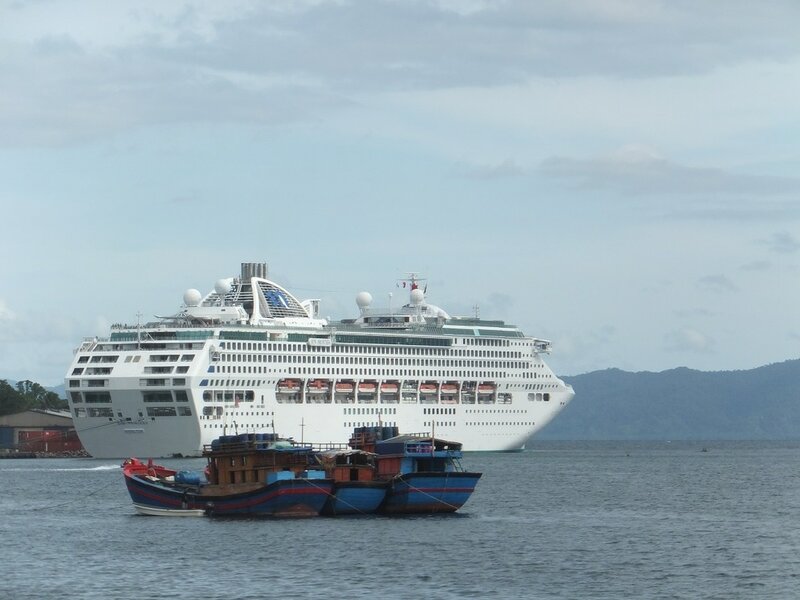 Ports of call… Naturally this depends on the cruise you select and Princess has put together a very comprehensive list of shore excursions for each port. Accommodation …. Question - Where do you spend the most time on the ship? (Not the bar Dallas) Answer - In your stateroom - and this is where Princess has excelled with the bedding. The luxurious new beds feature a scientifically engineered mattress and bed springs, a plush two-inch pillow top, European-inspired duvets and 100% luxurious Jacquard-woven linens-to assure that at the end of your voyage, you come home feeling refreshed and renewed. And we both agreed that these were the most comfortable beds and pillows we have ever enjoyed. ​Princess Cruises will offer a range of Northern Explorer cruises between Sydney/Brisbane and Fremantle in 2017 and 2018, with itineraries varying from 14 to 18 nights. Sun Princess will sail from Fremantle on July 16, 2017 on a 15-night Northern Explorer cruise finishing in Brisbane. 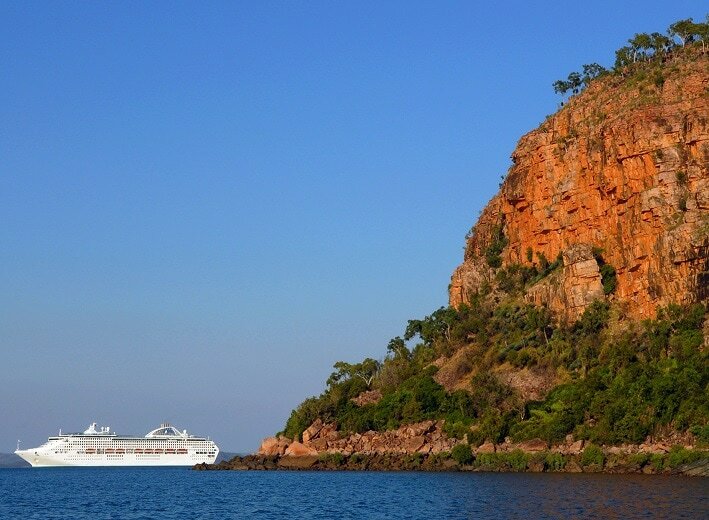 Fares start from $2199* pp twin share for the cruise which includes scenic cruising along the Kimberley coast as well as visits to Broome, Darwin, Port Douglas, Cairns and Alotau in Papua New Guinea. * Valid until February 28, 2017. Subject to availability. Conditions apply.